Today marks the 21st anniversary of the first majorly publicised attack by a computer virus known as “Michelangelo”. 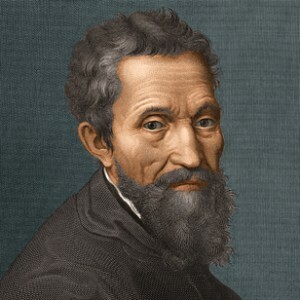 Nobody knew who created the virus, but what was known about it was that on the 6th of March, on Michelangelo’s birthday, the virus would self-activate and attack the boot sector of a disk or hard drive, and destroy its data in the process. The virus was first discovered by an employee of a computer shop in Melbourne, on February 4th 1991. Eleven months later, at the start of 1992, media reports started to surface claiming that the virus might have been accidently shipped by some software and hardware manufacturers, and is now circulating world-wide waiting to re-activate and strike again. At the time, John McAfee, the man behind McAfee and their anti-virus software, told the media that in his opinion up to 5 million computers could be affected, adding a further layer to the panic. March 6th 1992 was the next day when the virus would strike again, but this time on a much larger scale. A few months before attack day, McAfee became an almost-overnight success, with sales of its software skyrocketing because of the publicity Michelangelo has received. When the day eventually arrived, only 10-20 thousand cases of the virus were reported. With John McAfee’s predictions way over-estimated, many people blamed him for using the virus, and the media, as a way to scare people into sales. Two years later, he sold the company for a $100 million. 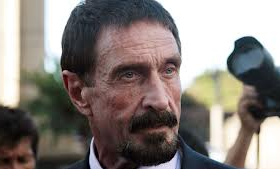 As of 2008, McAfee lives as a recluse in a private, high-security compound in Belize, living with 12 armed guards and 15 guard dogs. For several years there were questions raised about his mental state and alleged paranoia about his personal security. As of November 2012, he is wanted for questioning by the Belize Police due to a connection to a murder. And to think that this all started with a computer virus.